One deck that isn’t really on a lot of people’s testing radars, but which is probably a lot better than most people are giving it credit for in the Primal Clash format is Bronzong, a deck that was mostly underwhelming during the Phantom Forces format. While Primal Groudon EX, Primal Kyogre EX, and M Gardevoir EX took up most of the spotlight during the Primal Clash hype period, M Aggron EX is a card that deserves a much closer inspection than players have given it. I think M Aggron EX is the superstar attacker that Metal decks were in need of to reach a more steady place in the meta game. M Aggron EX is a Metal type Mega Pokemon that did receive a Spirit Link, it has a Fire weakness, a Psychic resistance, and a four retreat cost. Its attack Megaton Slam costs [M][M][C][C] and does 120+ damage. You have the option to flip a coin, and if heads, you do 120 more damage (so a total of 240 damage), and if tails, you do 20 damage to each of your Benched Pokemon. The upside on this card is amazing, 240 damage is good enough to OHKO any Mega Pokemon in the game right now. 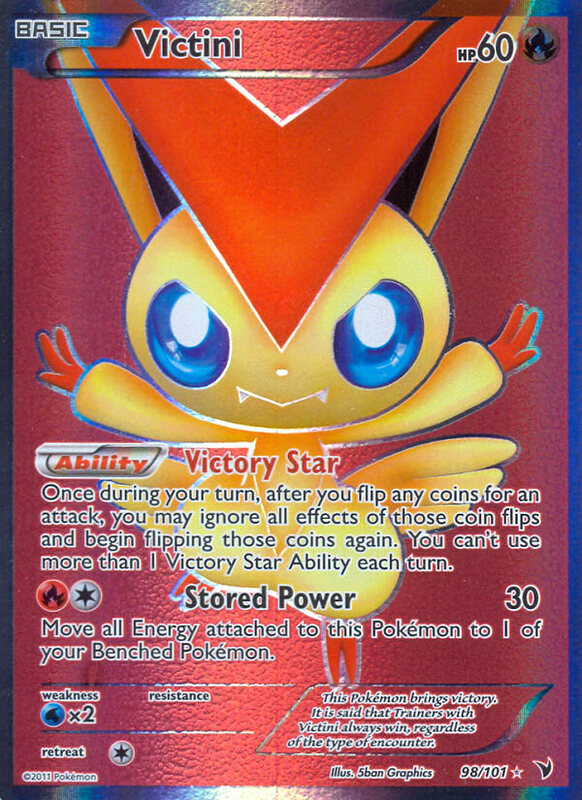 As is, you have a 50% probability of doing it, but that can be raised to a 75% probability if your play Victini NVI or Trick Coin in the deck, both of which allow you to re-flip coin flips on attacks. The downside of the attack isn’t very bad, unless you’re playing against decks that have spread attacks or Abilities, such as Landorus EX or decks featuring Crobat PHF. Otherwise 20 damage isn’t overly significant, especially if you play Max Potion to heal potential attackers for later in the game. The attack cost for M Aggron EX is very strong for getting them into play and attacking easily. If you can get two Bronzong onto your field, then a Double Colorless attachment, and two Metal Links is good to get it up and attacking. With a turn one attachment, a second attachment on turn 2, and a Metal Links, you can even get it up and attacking on turn 2 of the game. Here is my current list for M Aggron EX. This version of the deck is more option based, as I think that will be better against the meta game as a whole, but a more streamlined version with perhaps a 3-3 M Aggron EX line could be better if the meta game evolves to be mostly Mega and EX Pokemon. 2-2 M Aggron EX – This is by far our strongest attacker in the deck for the reasons listed above. We play two Spirit Link to try to get them out earlier. Aggron EX, the pre-evolution is pretty solid in its own right. Primarily for its Raging Hammer attack, which does 60 damage, plus 10 more for each damage counter on it. Whenever playing against anything that can’t OHKO you, and has to rely on 2HKO’s, Aggron EX’s Raging Hammer can get fairly strong against them and become very punishing. Its first attack, Steel Headbutt does 50 damage, plus 30 more damage if you flip heads on a coin flip. This can be good for knocking out smaller stuff such as Hawlucha FFI, and you have a 75% probability of doing the extra damage if you play a coin flip modifier. 3-3 Bronzong PHF – A 3-3 line of Bronzong should be more than effective enough in this type of deck. It’s important to keep in mind the difference between a deck such as RayEels, or even the version of Bronzong based on attacking with Dialga EX that was played at City Championships, and this version of the deck. Those versions of the deck discard Energy everytime they attack, so it is more important for them to be able to get off multiple Metal Links per a turn. With M Aggron EX as an attacking option, your premier attacker doesn’t discard any Energy when it attacks, so as long as it doesn’t get OHKO’d, you will have time to get some extra attachments and Metal Links to other Pokemon on your bench after you have one of those powered up. 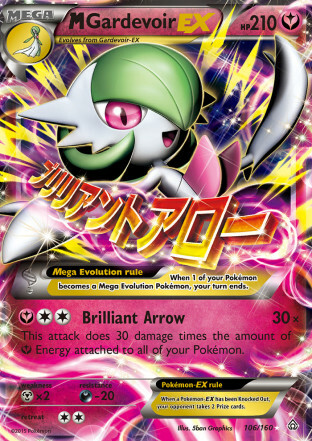 1 Aegislash EX – This is just a tech attacker, but it can be very useful against any deck that is playing Special Energy in it, such as Donphan, Night March, Seismitoad EX, or Primal Groudon EX. 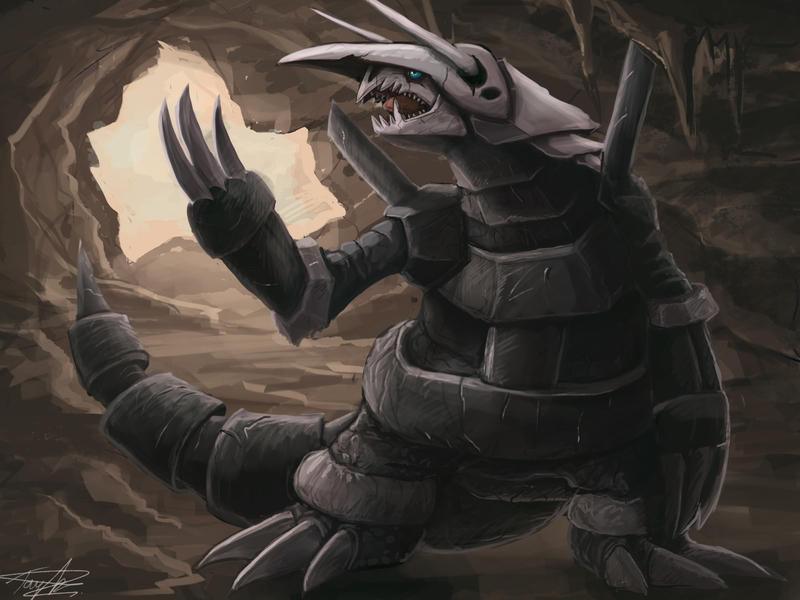 Its Mighty Shield Ability prevents damage done to this Pokemon by attacks from Pokemon with Special Energy attached. Its Slash Blast attack will do 100 damage if you power it up entirely with Metal Energy, which is good for 2HKO’s on most Pokemon in the format. You don’t use this card a ton in this version of the deck, but against decks that rely on Special Energy, even one copy of this card can make a huge difference. 1 Dialga EX – With M Aggron EX in the fold, this card is a lot less impressive as an attacker. 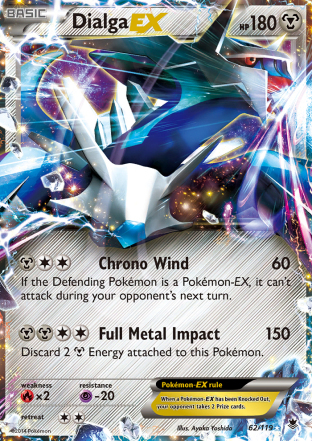 If you can attack with M Aggron EX, you will usually want to go with that over Dialga EX now, but Chrono Wind is a highly disruptive attack which has its uses in certain situations. For example, in the early game, if your opponent is struggling to find other Pokemon to get setup, and just hammering away with a Landorus EX, you could send up Dialga EX, use Chrono Wind, and now your opponent’s only attacking option can no longer attack. It can also come up clutch in the late game when you N your opponent to 1-2 cards. At this point in the game, resources will be low, and your opponent won’t have very much in their hand after the N, so Chrono Wind could pin an EX Active that is unable to attack against you. 1 Cobalion EX – This was the toughest spot to figure out as far as tech attackers, but I ended up choosing Cobalion EX over Heatran PHF, as I think Cobalion EX is more useful in a greater variety of situations than Heatran is. The logic in playing Heatran in this slot, is that it gives you your Safeguard counter, along with giving you a non-EX to get your opponent on odd prizes. (As you play Bronzong and Victini as non-EX’s, it’s still possible for your opponent to end up on odd prizes, even without attacking with one of these Pokemon). What I really like about Cobalion EX is how disruptive it can be against Seismitoad EX decks. Righteous Edge for just a single Metal Energy can be used to remove their DCE’s. Usually they can get the second DCE attachment immediately after the removal, but stringing together DCE attachments for three straight turns can be difficult to do, and that can buy you turns of Items to get further setup, or retrieve extra Supporters for your deck by getting to play VS Seekers. 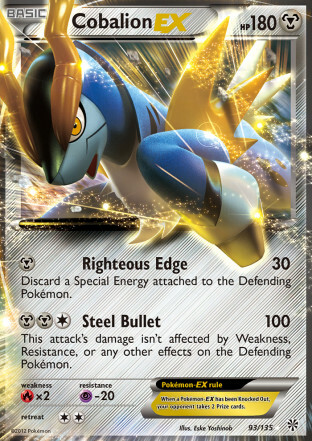 In addition to Righteous Edge, Cobalion EX has Steel Bullet, which does 100 damage for [M][M][C], and goes through all effects on the Defending Pokemon. Therefore, you can use Steel Bullet to knockout Safeguard Pokemon such as Sigilyph and Suicune. 1 Keldeo EX – I think this is the proper mobility engine to include in the deck, as it gives you greater consistency in having mobility from turn to turn, gives you another option to break out of Status conditions, and lets you pull off some nice tricks with the deck. 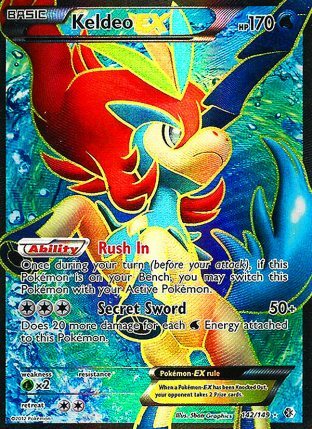 We play three Float Stone in the deck to give Keldeo EX free retreat, although you can use a Double Colorless Energy or two Metal Links worth of attachments to get the Energy on it to retreat when against Item lock. If you’re attacking with Dialga EX, you can discard the two Metal Energy for Full Metal Impact, and then the next turn Rush In with Keldeo EX, use Metal Links to Dialga EX, retreat, and have it back up attacking again. Another very nice situation is when you just have one M Aggron EX on the field, and it has been getting a lot of damage put on it, and you want to heal it off but keep attacking with it. You can Rush In with Keldeo EX, use Max Potion, attach a Double Colorless Energy, Metal Links twice and bring M Aggron EX back up to attack at full health. 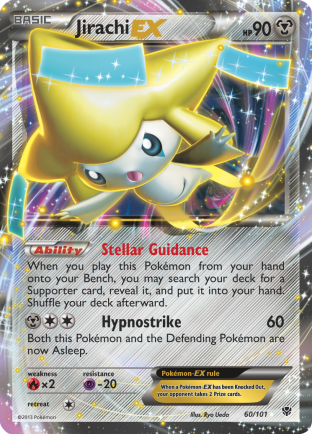 1 Victini NVI – I tried the deck without this originally, but it’s clear that this belongs in the deck. The difference between doing 120 damage and 240 damage with M Aggron EX against anything that is EX based is too strong to not maximize your probability of getting off a 240 damage attack. 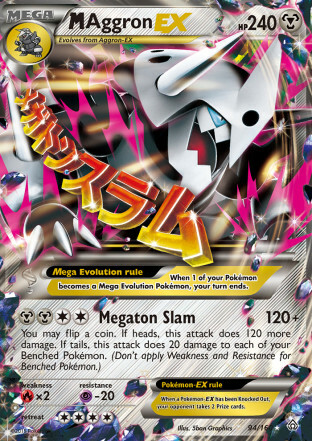 It’s primarily used for M Aggron EX’s Megaton Slam, but also could be used for Aggron EX’s Steel Headbutt, which won’t be used too often, but if you play enough games, I’m sure a situation will arise where it becomes important to hit heads on that attack. 1 Jirachi EX – As we have just eight good Supporters for turn one, it’s important to increase our options of starting the game with a good Supporter, which Jirachi EX does by making our four Ultra Ball also potentially good Supporters. When you have a OHKO attack, like M Aggron EX does, Lysandre can be especially powerful for ending games quickly, so Jirachi EX can also be used to get Lysandre to drag something up to finish a game. 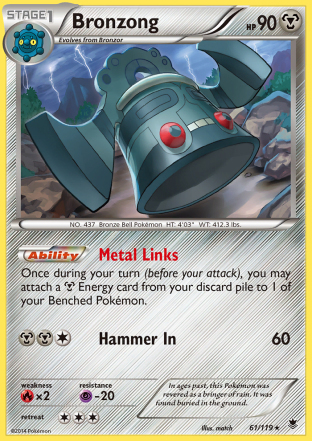 As you play Metal Energy in this deck, you can even attack with Jirachi EX if you start with it, or end up in a situation where the only way you win is to stall a turn. Hypnostrike does 60 damage for [M][C][C] and puts both Jirachi EX and the Defending Pokemon asleep. The deck plays 4 Professor Juniper and 4 N, as they are the best Supporters in the game. N can be especially good in this deck when you get Keldeo EX with Float Stone in play, as you can live off your field well, while your opponent may be playing a deck that is more reliant on their draw. 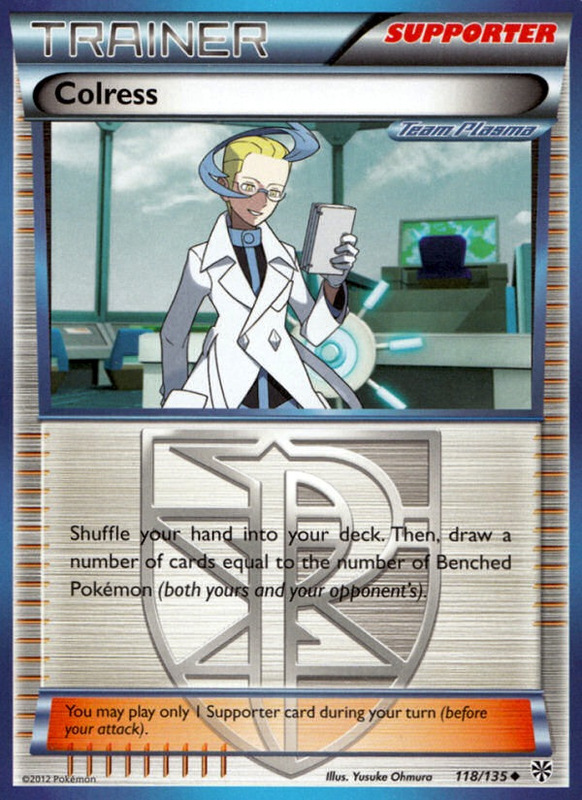 The third Supporter to play in this deck is Colress, as you will almost always be filling your bench up. The deck plays two Lysandre so you can reasonably draw into them when you want them. Lysandre’s Trump Card is fairly strong in this deck as well, as it lets you get back M Aggron EX, Spirit Links, and Bronzong that you might discard early, as well as your Max Potion and Double Colorless Energy. Just remember to use up your Metal Links for the turn to keep your Metal in play before you use Trump Card for your turn. The deck then plays Computer Search as the Ace Spec to get off maximum early game consistency, although Dowsing Machine could be good in the deck as well, as it gives you another option to get Spirit Link back if you discard them early, or to get a third Max Potion before you use Trump Card. The deck also plays 3 VS Seeker to give you more control over what Supporter you use each turn, which allows you to get the most out of your Supporter per the turn by choosing the best one. 2 Battle Compressor – These are great in the deck, as they can get your Metal Energy into the discard pile early so you have them ready to go as soon as you get Bronzong online. 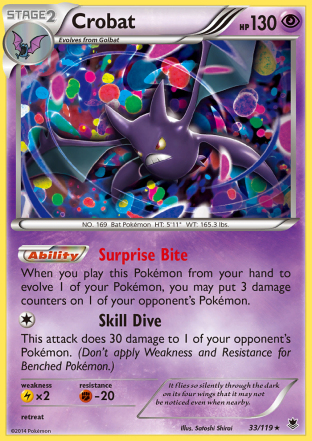 Between this, Ultra Ball, and Professor Juniper, the deck has plenty of options to get Metal Energy in the discard. This also gives you more Supporter outs, as you an discard a Supporter and get it with VS Seeker. Lastly, you can discard tech Pokemon you won’t need for a given matchup to thin out your deck, making it more likely that you draw the stuff you do want to draw in that matchup. 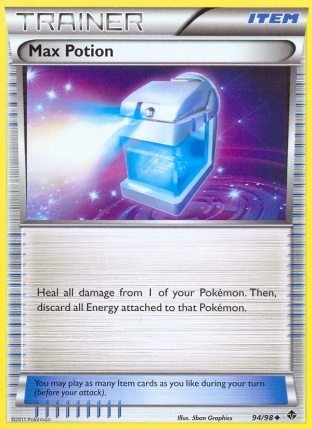 2 Max Potion – As you have a strong source of Energy acceleration in Bronzong, you are free to use Max Potion, as you can very easily get the Energy back onto your Pokemon to continue attacking that very same turn. M Aggron EX is already hard enough to knockout with its 240 HP, so making them last longer with Max Potion is very strong. 1 Escape Rope – This is just another Switch option, in addition to your Keldeo EX and Float Stones. I went with Escape Rope over Switch as it sometimes will allow you to bring up something that your opponent doesn’t want you to knockout. With Keldeo EX and Float Stone, you will use that to Switch primarily, so Escape Rope is more in here as another disruption option, but it can just work as a Switch as a last resort too. 1 Steel Shelter – This card is very strong as long as Hypnotoxic Laser remains in the format. If you get into this play against a Seismitoad deck, and are attacking with Aegislash EX, the will be unable to damage you. 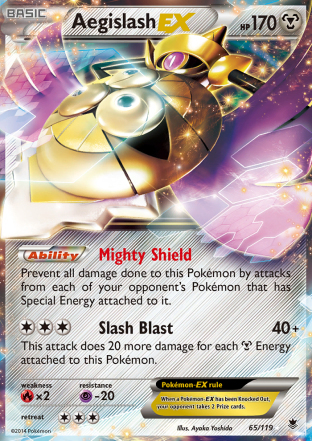 It can also mess with decks like Yveltal, preventing them from hitting the damage numbers they need to get knockouts. 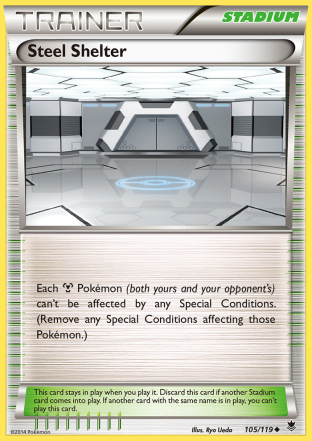 1 Shrine of Memories – This is in the deck so that you can copy Aggron EX’s Raging Hammer attack with M Aggron EX. 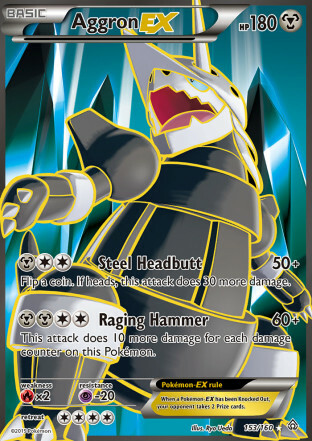 With 240 HP, there is a lot of damage that can get stacked onto M Aggron EX before it gets knocked out, so Raging Hammer could give you a OHKO attack that isn’t dependent on a coin flip. I have this included right now as I expect the meta game to have less Toad in it, but if Seismitoad decks pick up again, I would just play two Steel Shelter in the deck. The primary purpose that Bronzong can have in the meta game is as a direct hard counter to M Gardevoir EX or Florges EX based Aromatisse decks. You hit them for weakness, so you can rip through them with almost all of your attackers. Some might try to use Gardevoir EX’s Shining Wind attack to remove its weakness, but I can’t see this being an effective way to beat the deck as it is easily Lysandre’d around, and you can use M Aggron EX to OHKO a Gardevoir EX anyhow. The biggest problem deck will be Emboar LTR/Camerupt EX. They hit you for weakness, and a Reshiram BLW and Delphox XY can be used to OHKO M Aggron EX, while also only giving up one prize in return. The only shot you have at beating this is for them to have a clunky start, while you get a good start and just run away with the game. Flareon is also another problem deck, but that deck is highly reliant on Double Colorless Energy, so you can wall them with Aegislash EX, and if you can chain Lysandre on any Flareon they try to setup with Basic Energy, you could win the game by doing that. The deck does alright against both Primal Groudon EX and Primal Kyogre EX, as M Aggron EX can OHKO both of them. Consistent Big Basic decks such as Virizion EX/Genesect EX and Yveltal EX can win if you’re slow to setup, but if you get a decently paced setup, M Aggron EX is too difficult for either to deal with. Seismitoad EX decks are both good and bad against this. 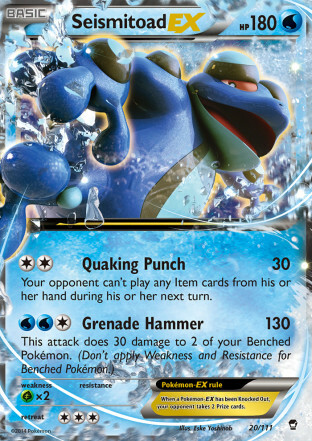 I think you should beat most Seismitoad EX/Slurpuff PHF decks, as you have access to all of your Abilities, and have enough Seismitoad hate cards in the deck to disrupt them just as much as they disrupt you. With Bronzong’s Energy acceleration, Bronzong is well suited to get around their Energy disruption. However, a good Seismitoad EX/Garbodor DRX deck will easily beat this deck. Four Energy is too high of an attack cost to make M Aggron EX useful in that matchup when you can’t use Metal Links, and during City Championships, I never had much difficulty beating Bronzong decks, even when they were playing multiple Cobalion EX and Aegislash EX. 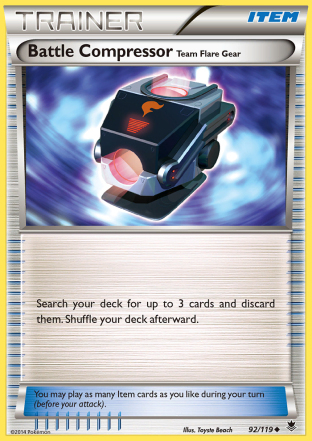 Shutting off Metal Links with Garbodor DRX, while simultaneously Item locking them and removing their Energy proved too difficult for them to overcome. The deck has tested well enough for me against Landorus EX/Crobat PHF. You easily OHKO all of their attackers, and you have multiple Max Potion to heal off the damage they’re doing, which helps in preventing them from accelerating the prize trade. You really want to focus on getting multiple Bronzor into play at the same time, as if you drop them only one at a time, they can make a Golbat drop and then knock out benched Bronzor for the KO. Mr. Mime would be a viable tech in areas where Landorus EX/Crobat PHF is seeing a lot of play. Lastly, the deck has a better Night March matchup than most EX based decks. You definitely can still lose to them, Night March is a fast, consistent deck, that is very powerful, but you do have solid answers against them. You have Lysandre’s Trump Card, which can be used to set them back. Aegislash EX can be used to slow them down, as they will only be able to use a Mew EX with only Basic Energy attached to knock it out, and they need at least 9 Night March Pokemon in the discard pile to do it. Finally, M Aggron EX is the most difficult Mega Pokemon for them to deal with. 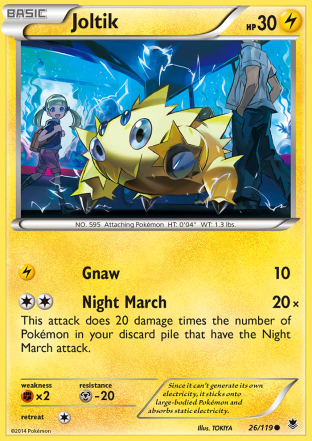 As it has Psychic resistance, the only attacker they can OHKO it with is a Joltik with a Muscle Band attached, and all 11 of your other Night March Pokemon in the discard pile, which is an obviously poor position for Night March to be in unless they’re ending the game that turn. If they don’t OHKO it, you can Max Potion it, restock it with Energy, and go back to attacking with it, setting them back a turn of damage. M Aggron EX is a card that a lot of the player base is sleeping on that could have a great impact on our State Championship format. 240 HP, and also being able to do 240 damage is very strong, and gives the deck some of the best raw power of any deck in the format. I think this deck is a reason to expect the continuance of our ever moving meta game. This deck is pretty solid against a lot of the stuff that looks to be popular for Florida Regional Championships, but it also has a noticeable weakness in Emboar that can be whipped out to counter it. Additionally, decks using Ability lock Pokemon such as Wobuffet PHF and Garbodor DRX could pop up during State Championships, which would force Bronzong players to have to fit in Xerosic or Startling Megaphones, which will hurt the deck’s consistency. If you haven’t checked out M Aggron EX yet, I recommend you do, the card is very powerful, and definitely worth testing.